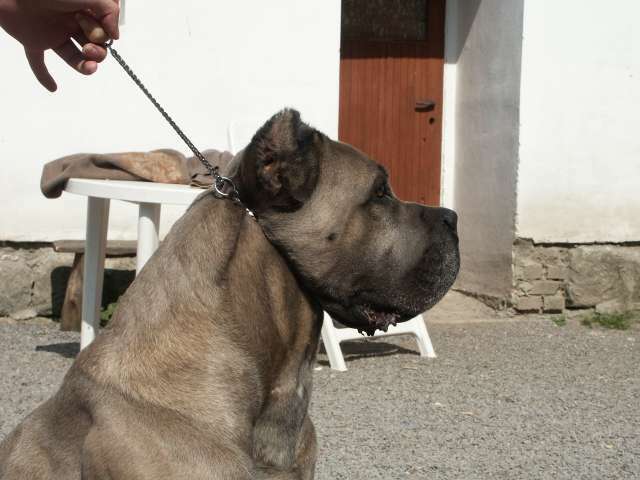 Jones is one of the Most Titled Cane Corsos in Europe!!! 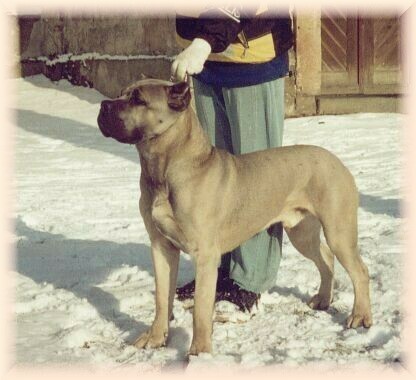 Sire of 16 Champions in 8 Countries! 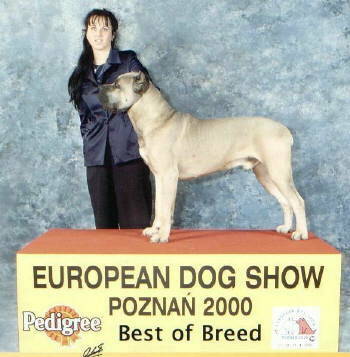 Jones has been shown 3 times at International Shows in Italy and has gotten Best of Breed EVERY TIME! 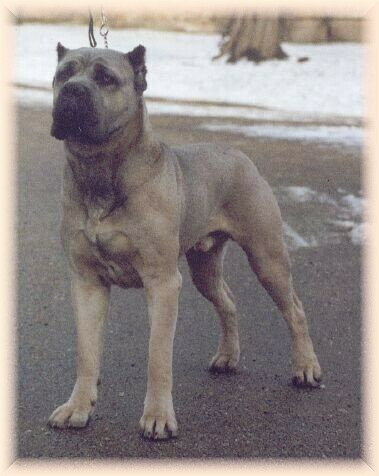 He was Best Of Breed at the 2003 Raduno AICC show in Rome, Italy. There were 96 Corsos competing in that show! 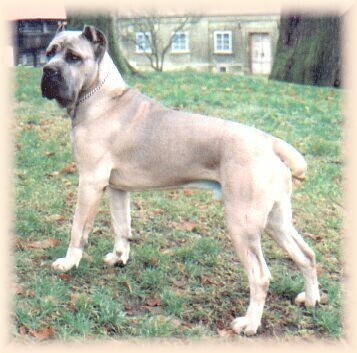 12/2/02 Best of Breed out of 45 Cane Corsos competing at the International Show in Verona Italy, judged by Dr. Bezzechi of Italy. Then Jones went on to be awarded Group 3, judged by Antonio di Lorenzo of Italy. 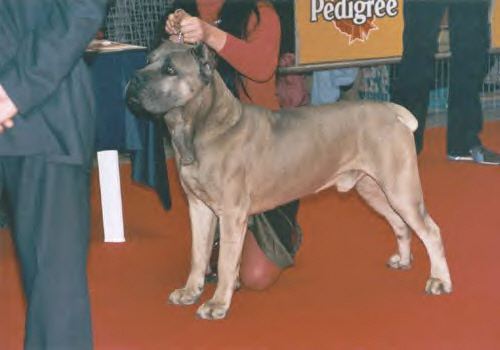 1/19/03 Best of Breed out of 63 Cane Corsos competing at the International Show in Milan Italy, judged by Mr. Perricone of Italy. protective in the garden and gets along well with other dogs.